The schools in finances, if we may speak about them, are two: fundamentalists and chartists or technicians. Both are quite different when they analyze and prospect market trends. Fundamentalists look into the conditions that produce a given price in a moment (for instance, interest rates for currencies or balance sheets in companies). On the contrary, technicians just consider the price without any economic or accounting figure and research into the trends of the pricing line in a chart. Let’s look this example extracted from the T-Advisor app. 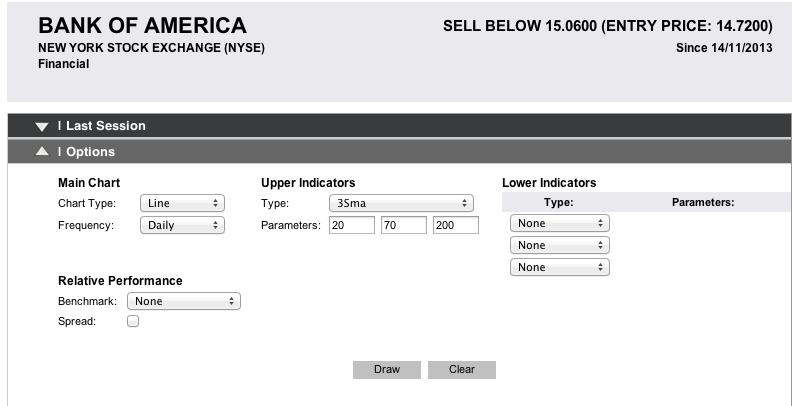 If we select a listed item (in this case, Bank of America), we can choose different indicators from the software. In this chart we selected the pricing line since 2001 and the trending lines SMA (Simple Moving Average) for 20, 70 and 200 days. These lines let the investor or the advisor have the perception of how the price of this company is moving in the market. What are the main advantages of technical analysis? Actually, this concept focuses just on price. So, as particular investors, we do not need to know deeply about economics. Secondly, charts give us easily and quickly the trend (upwards, downwards, sideways). Thirdly, we discover patterns, as technicians think that market actions repeat. Of course, they are not necessary easy to discover, but they exist. 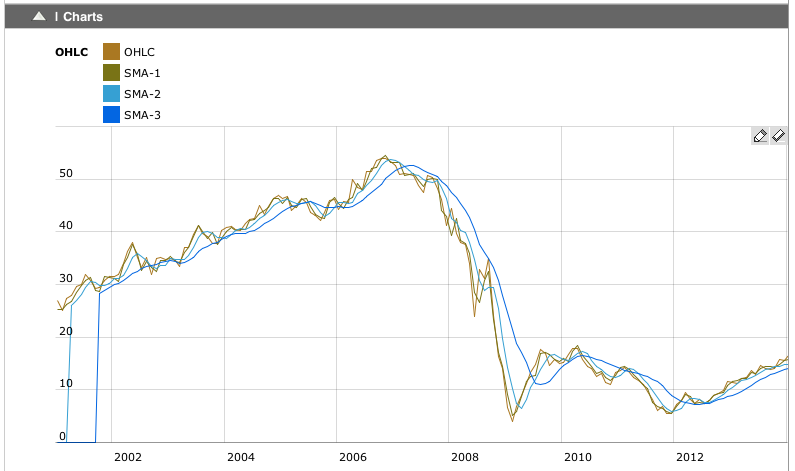 Finally, charts provide the investor a wealth of information just with an image and the right software. Technical analysis has jumped with the development of computing and software tools based on this concept are a great help to success in the finance markets. Last, but not least, technical analysis is applicable to all kind of tradable products: stocks, bonds, currencies or commodities. Are you new in finances? Do you want to learn more about technical analysis? This blog will publish regularly posts about the main concepts and vocabulary linked to it. This entry was posted in T-Advisorpedia and tagged Advantages, Chart, SMA, technical analysis on January 9, 2014 by Oscar Garcia.